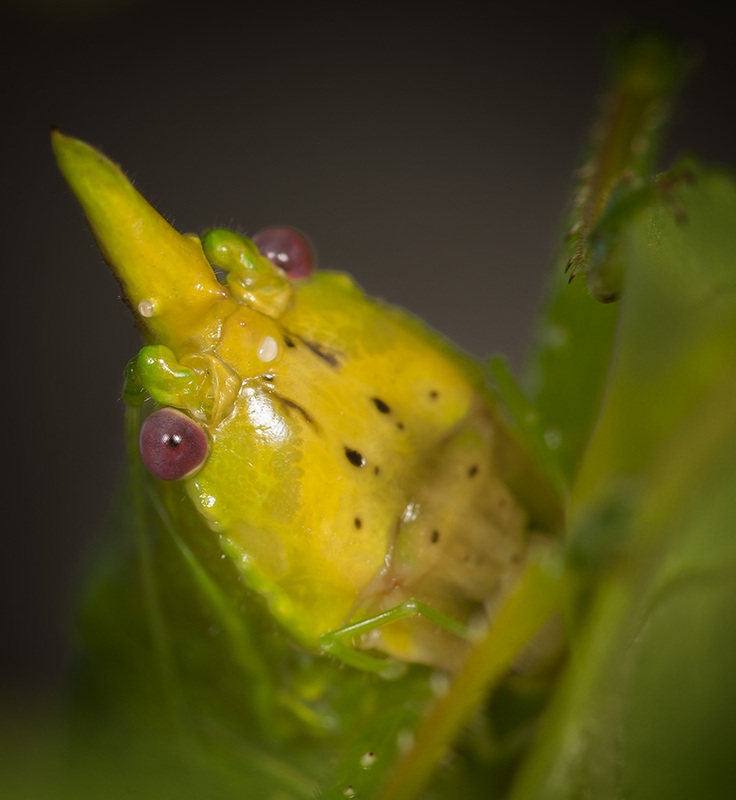 This clown face belongs to a female Cone-headed katydid. I find these katydids both funny and a bit creepy at the same time. They remind me of a scary clown complete with a pointy hat. They are from the Tribe Copiphorini, and they are known for having a serious bite. It is recommended to not try to handle them if you are lucky enough to encounter one. According to Piotr Naskrecki, who some of you may be familiar with for his work with arthropods, these katydids living in central and southern America use their cones to fend off bats who would mistakenly consider them for a meal.